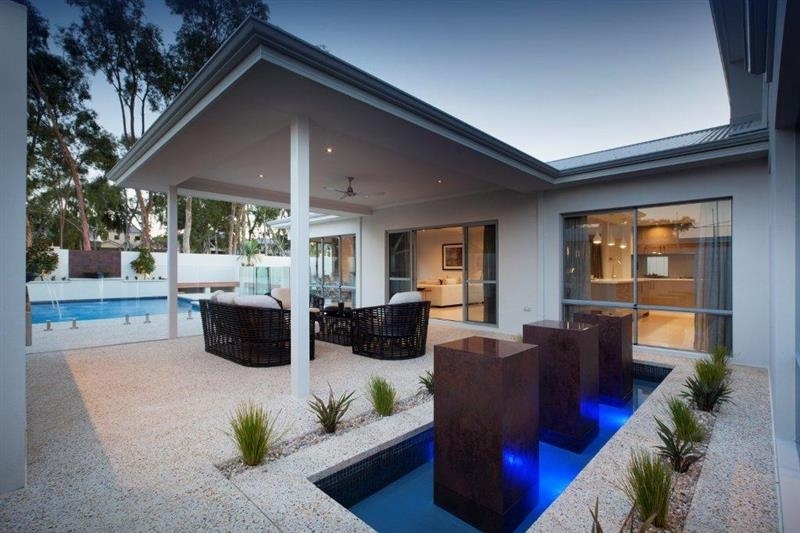 This family pool also included a separate feature pond closer to the home. 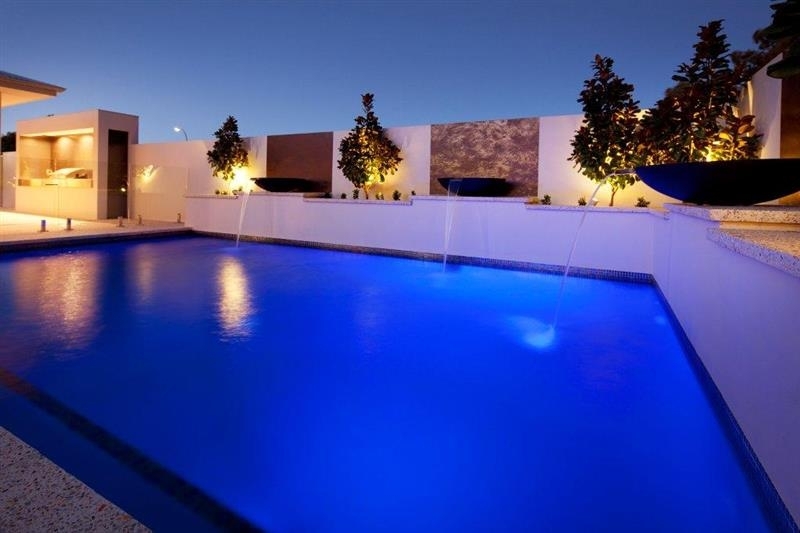 The pool has raised planters on two sides of the pool, each having water feature bowls overflowing into the pool. 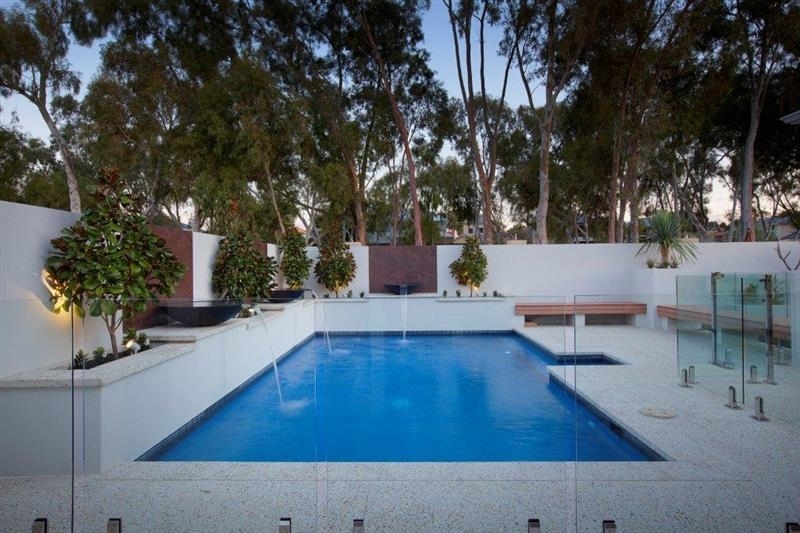 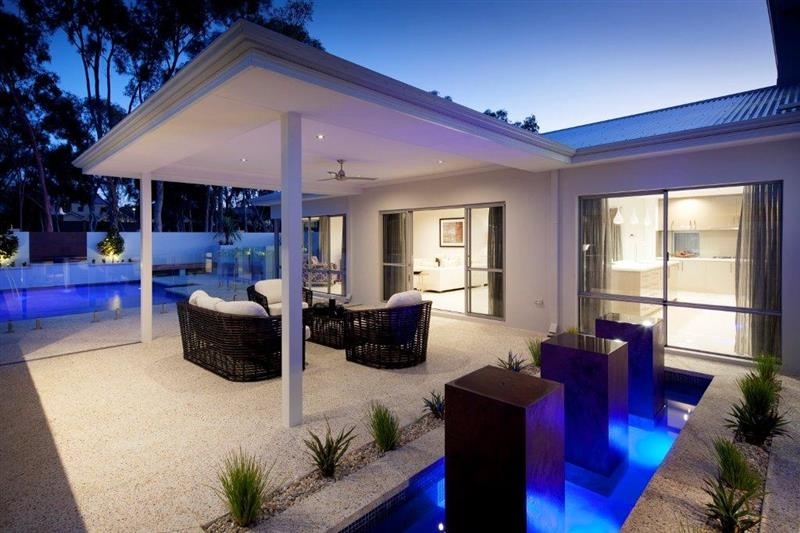 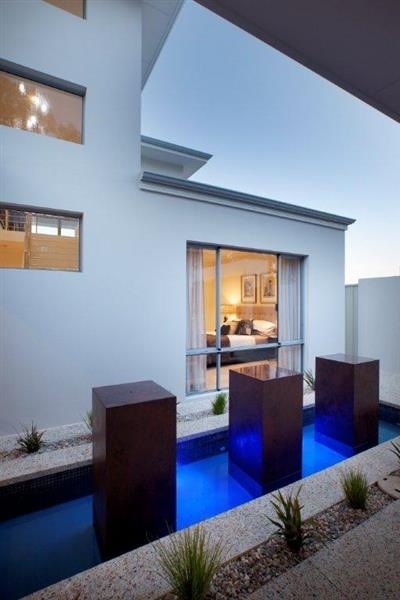 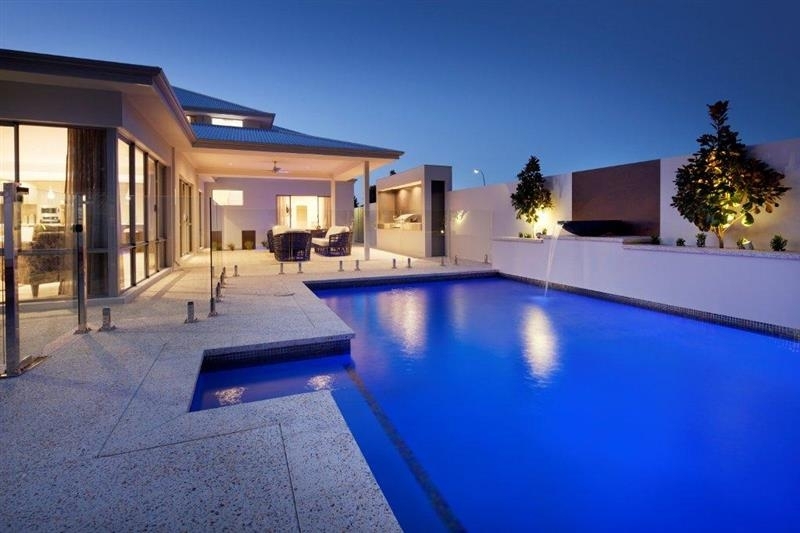 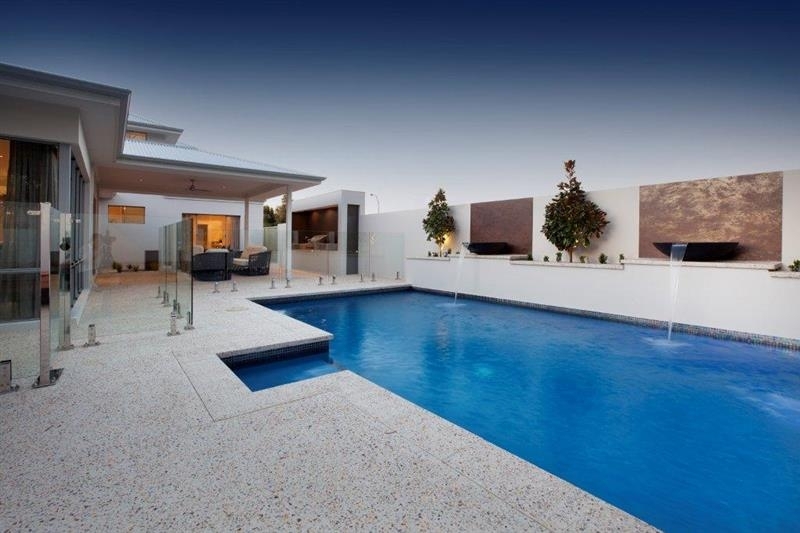 The pool entry is external from the main pool area which includes a seat, allowing for an unobstructed swim area.